Some of the world's largest entertainment groups have formed a huge coalition with a mission to reduce online piracy. 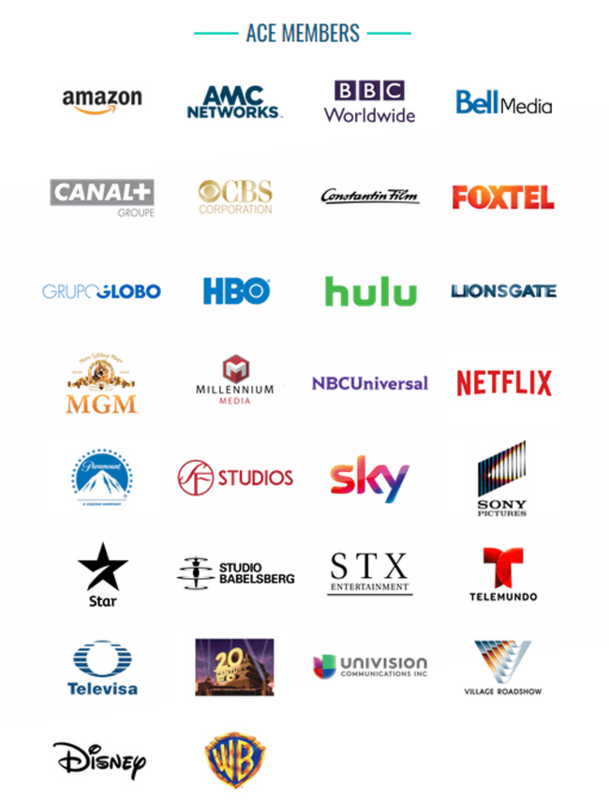 The Alliance for Creativity and Entertainment is comprised of 30 companies including the studios of the MPAA, Amazon, Netflix, CBS, HBO, BBC, Sky, Bell Canada, CBS, Hulu, Lionsgate, Foxtel, Village Roadshow, and many more. It’s not unusual for companies within the same area of business to collaborate in order to combat piracy. The studios and labels that form the MPAA and RIAA, for example, have doing just that for decades. Today, however, an unprecedented number of global content creators and distribution platforms have announced the formation of a brand new coalition to collaboratively fight Internet piracy on a global scale. In a joint announcement today, ACE notes that there are now more than 480 services available for consumers to watch films and TV programs online. However, despite that abundance of content, piracy continues to pose a threat to creators and the economy. “Films and television shows can often be found on pirate sites within days – and in many cases hours – of release,” ACE said in a statement. Rather than the somewhat fragmented anti-piracy approach currently employed by ACE members separately, the coalition will present a united front of all major content creators and distributors, with a mission to cooperate and expand in order to minimize the threat. At the center of the alliance appears to be the MPAA. ACE reports that the anti-piracy resources of the Hollywood group will be used “in concert” with the existing anti-piracy departments of the member companies. Unprecedented scale aside, ACE’s modus operandi will be a familiar one. The coalition says it will work closely with law enforcement to shut down pirate sites and services, file civil litigation, and forge new relationships with other content protection groups. It will also strive to reach voluntary anti-piracy agreements with other interested parties across the Internet. MPAA chief Chris Dodd, whose group will play a major role in ACE, welcomed the birth of the alliance. “ACE, with its broad coalition of creators from around the world, is designed, specifically, to leverage the best possible resources to reduce piracy,” Dodd said. The traditionally non-aggressive BBC described ACE as “hugely important” in the fight against “theft and illegal distribution”, with Netflix noting that even its creative strategies for dealing with piracy are in need of assistance. “While we’re focused on providing a great consumer experience that ultimately discourages piracy, there are still bad players around the world trying to profit off the hard work of others,” said Netflix General Counsel, David Hyman. It’s likely that the creation of ACE will go down as a landmark moment in the fight against piracy. Never before has such a broad coalition promised to pool resources on such a grand and global scale. That being said, with great diversity comes the potential for greatly diverging opinions, so only time will tell if this coalition can really hold together.